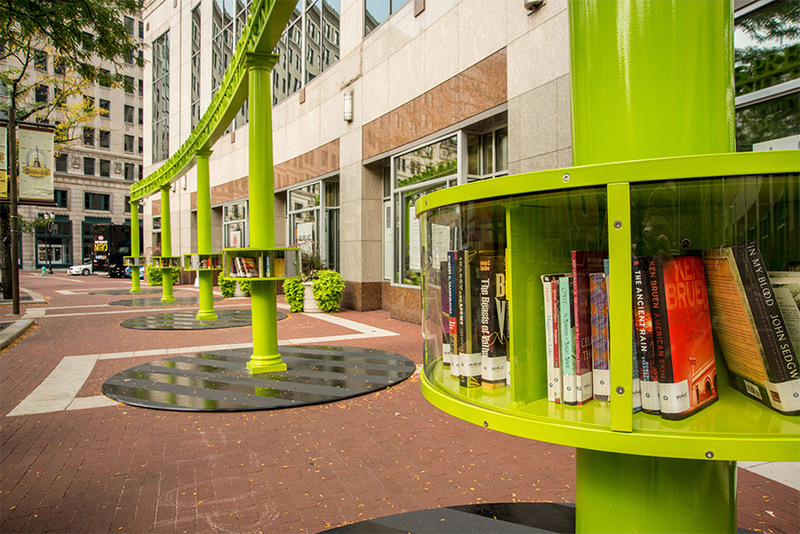 Usually the purview of quirky street side kiosks and grassroots neighborhood organizations, book sharing stations have sprouted across Indianapolis with a major assist from the local public library system. In August the Indianapolis Public Library announced The Public Collection, a public art and literacy project consisting of eight unique, artist-designed lending libraries in public spaces around the city. 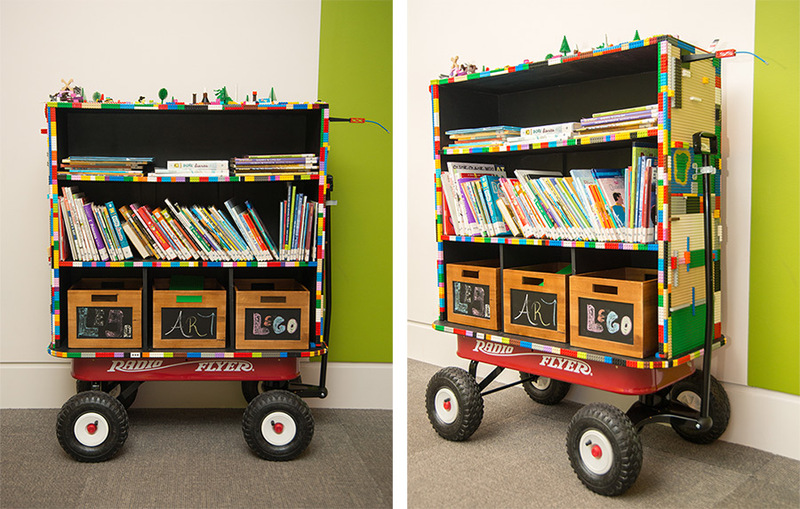 Like typical book share stations, these installations invite visitors to pluck books they find interesting and return them at their leisure. 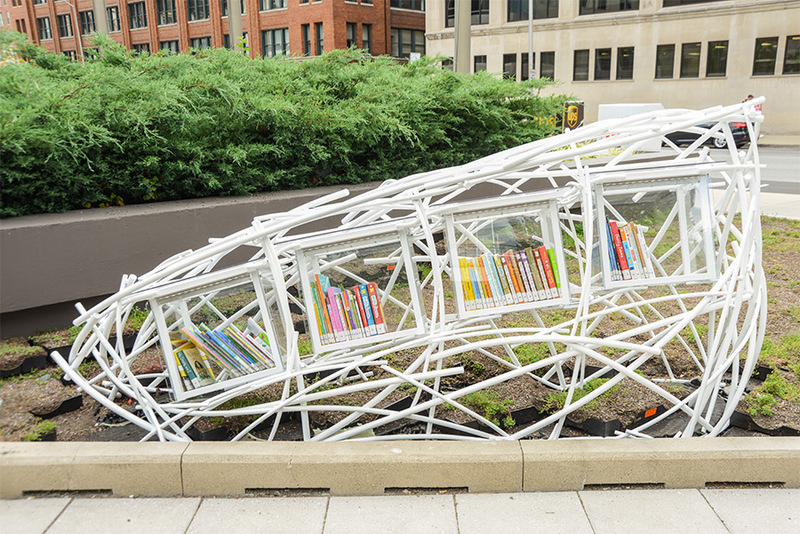 Local artist and advocate Rachel M. Simon spearheaded the program, which is intended to raise awareness about and combat illiteracy; as the project literature notes, nearly 1 in 12 people in the Indianapolis area cannot read. 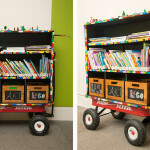 Play Station by LaShawnda Crowe Storm (at the Indianapolis Museum of Art) is constructed of three icons of childhood play—a Radio Flyer Red Wagon, Legos, and a chalkboard. 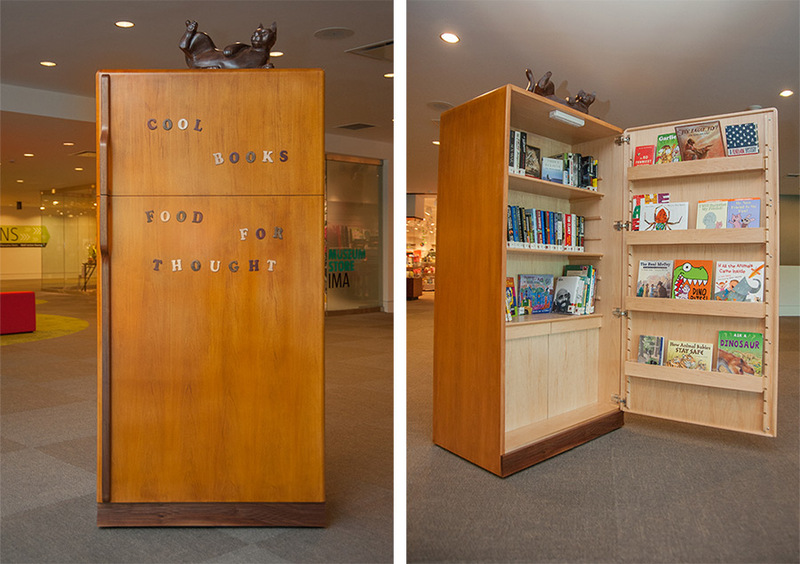 Cool Books, Food for Thought by Tom Torluemke (at the Indianapolis Museum of Art) is a stunningly crafted wood refrigerator filled with books and magazines. 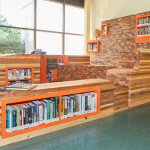 Evolution of Reading by Kimberly McNeelan (at White River State Park) is a modern cave-like form that creates a unique educational experience about the history of reading and writing. 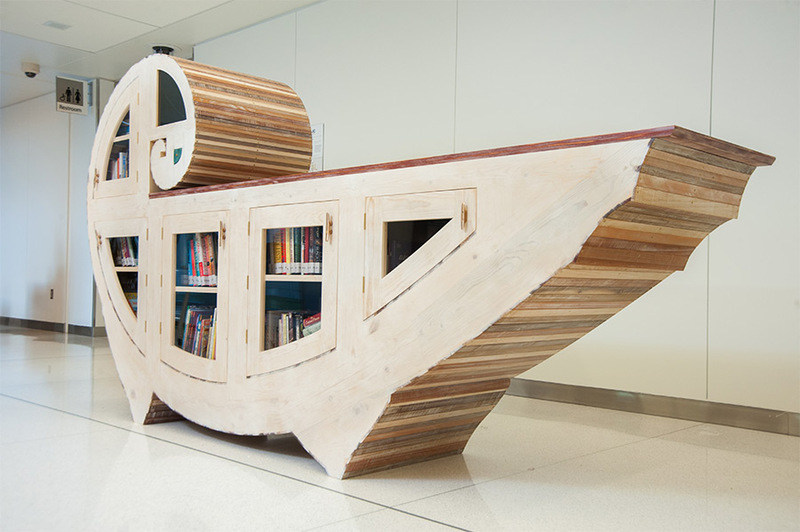 Katie Hudnall’s project (at Eskenazi Health) is loosely derived from the image of a boat on water and is designed to remind the viewer that books (and education in general) can be a form of transportation. 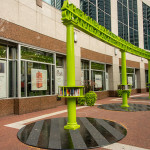 Monument, 2015 by Brian McCutcheon (at Monument Circle) makes formal reference to civic monument archetypes, with the twist of being modernized by color, material, and separation from a building. 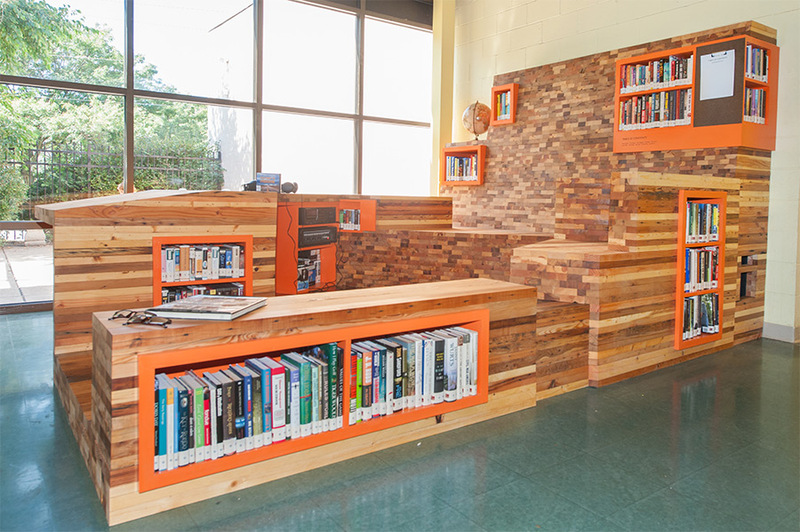 Phil O’Malley’s project (at Mary Rigg Neighborhood Center) is in the shape of a life-size question mark, a mascot to the idea that knowledge is available at our fingertips as we ask questions and look for the answers. Table of Contents by Stuart Hyatt and S+Ca (at Horizon House) carves out intimate spaces for reading, writing, and listening. 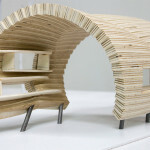 The result is a small refuge nested within an otherwise large and open room. 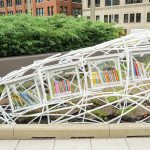 Brose Partington’s project (at the Indianapolis City Market) is designed to look and act like agricultural equipment by digging books out of the Earth and cycling them toward the viewer. 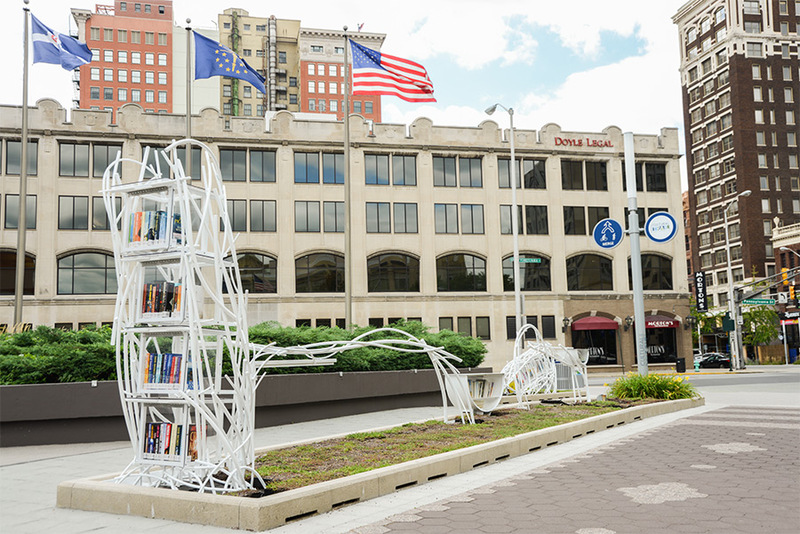 Eric Nordgulen’s project (at the Southeast Corridor of the Cultural Trail) uses a series of linear vine forms to suggest growth and development as well as draw attention to books, the importance of literacy and outreach, and the book share system. 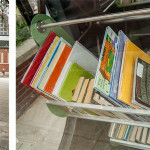 BROSE PARTINGTON’S HARVESTING KNOWLEDGE AT CITY MARKET. 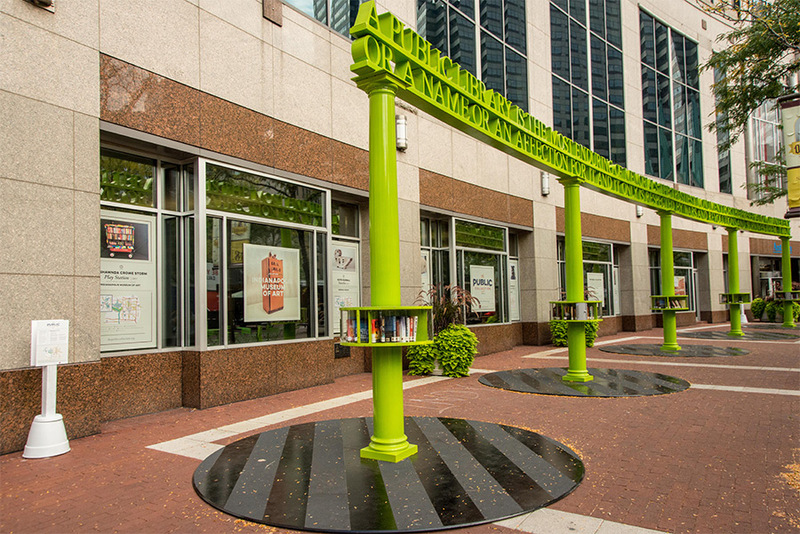 BRIAN MCCUTCHEON’S MONUMENT, 2015 AT MONUMENT CIRCLE. 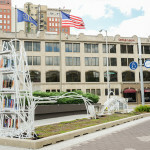 ERIC NORDGULEN’S TOPIARY AT INDIANAPOLIS CULTURAL TRAIL. 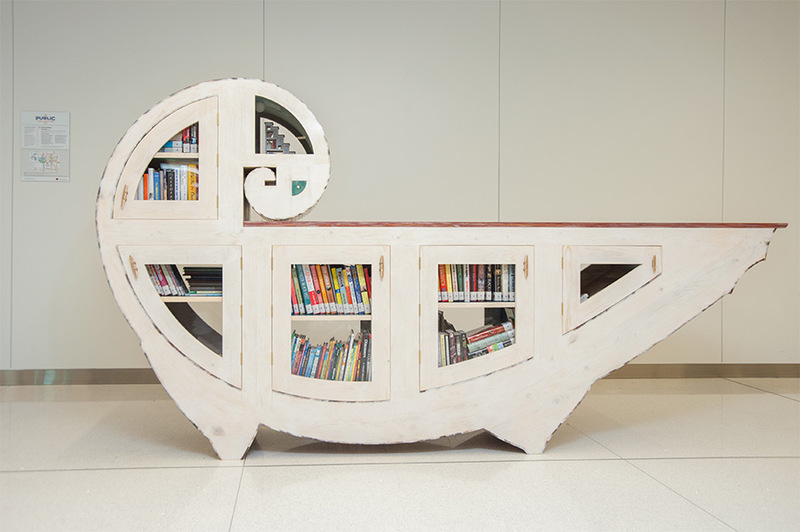 KATIE HUDNALL’S NAUTILUS AT ESKENAZI HEALTH. 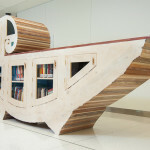 LASHAWNDA CROWE STORM’S PLAY STATION AT INDIANAPOLIS MUSEUM OF ART. 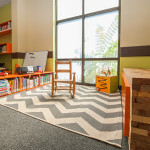 PHIL O’MALLEY’S THE ANSWER IS IN THE QUESTION. 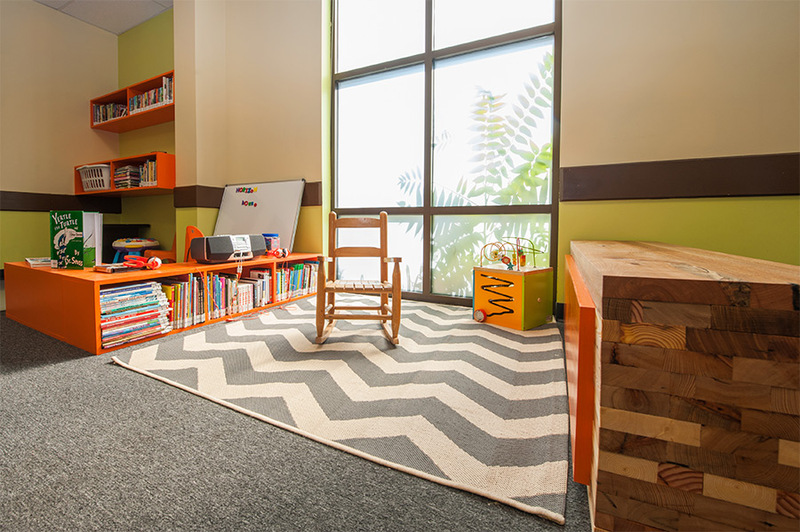 AT MARY RIGG NEIGHBORHOOD CENTER. 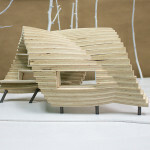 STUART HYATT AND S+CA’S TABLE OF CONTENTS AT HORIZON HOUSE. 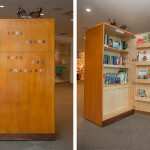 TOM TORLUEMKE’S COOL BOOKS, FOOD FOR THOUGHT. 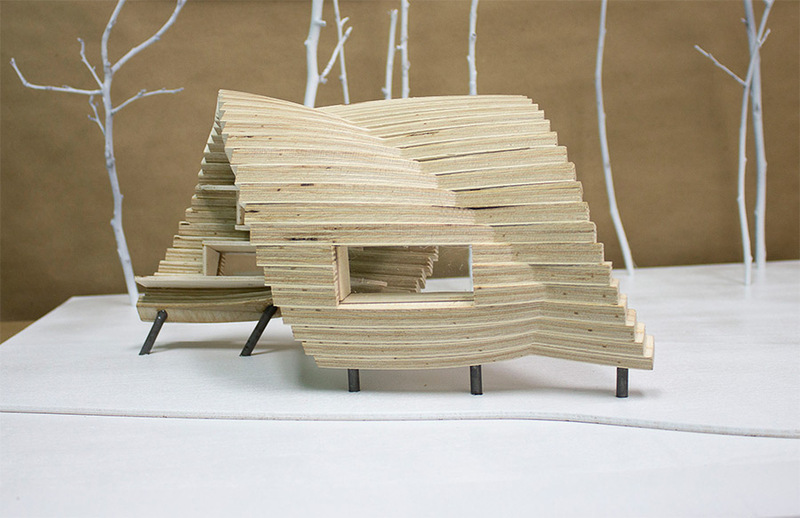 AT INDIANAPOLIS MUSEUM OF ART. 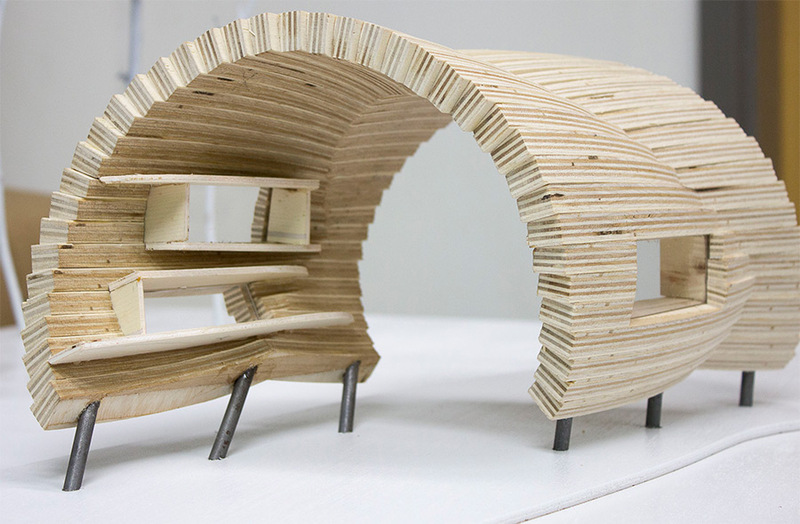 KIMBERLY MCNEELAN’S EVOLUTION OF READING AT WHITE RIVER STATE PARK.